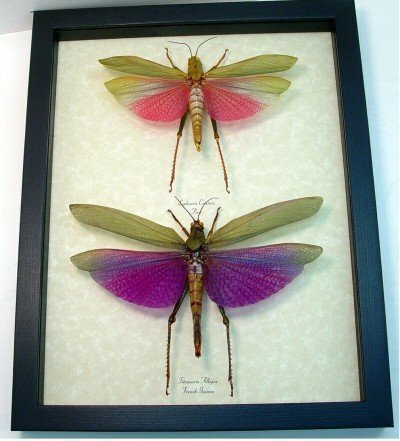 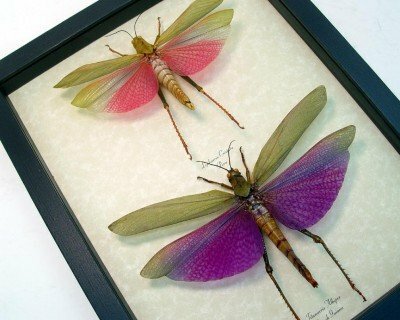 Description: These beautiful female bold purple and pink grasshoppers use their brightly colored hind wings to defend themselves. 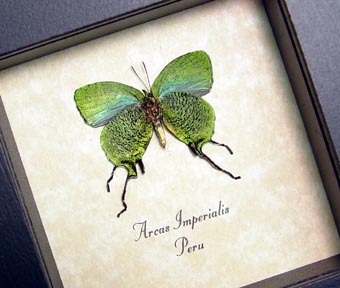 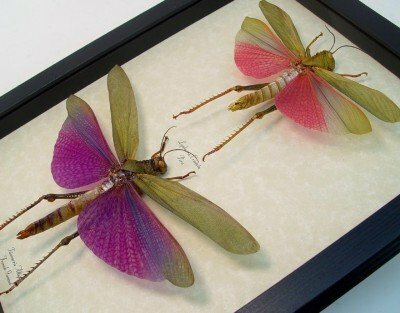 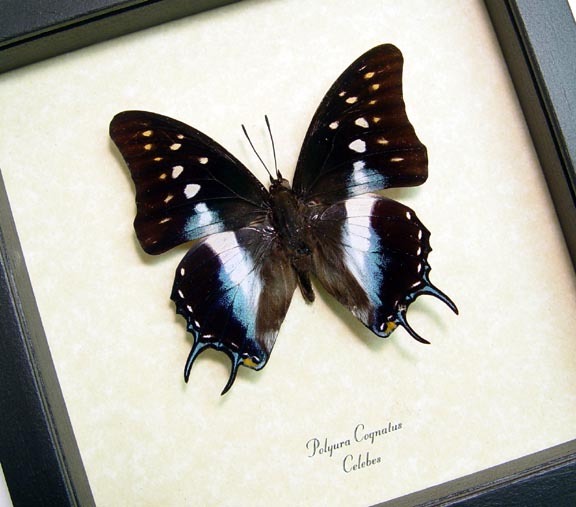 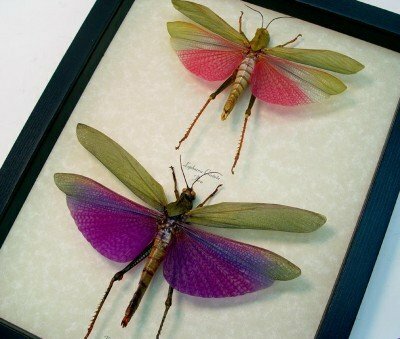 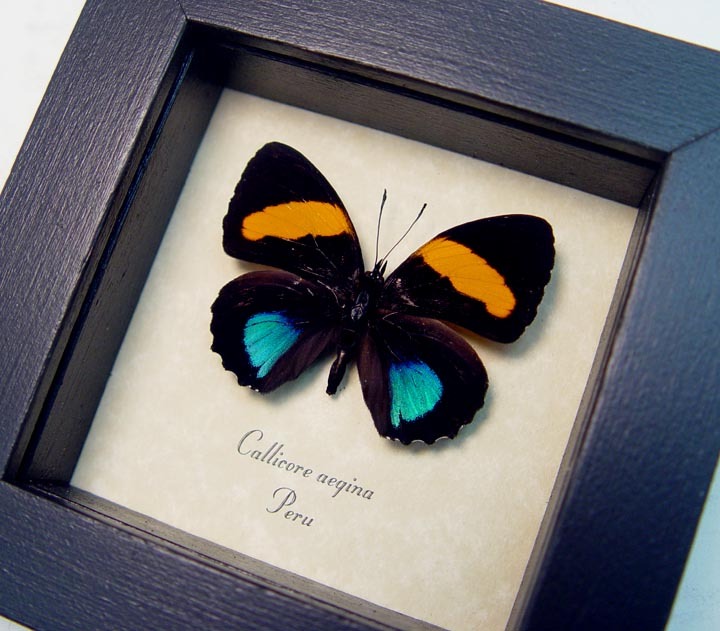 The sudden display of purple and pink colors hidden beneath their green front wings startles their predators and gives them a chance to escape. These colorful grasshoppers are found in the tropical lowlands of French Guyana in Northern South America and Peru. 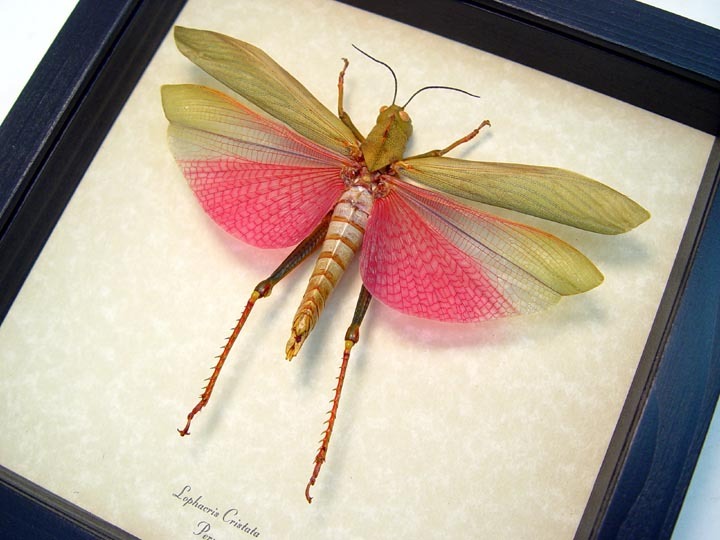 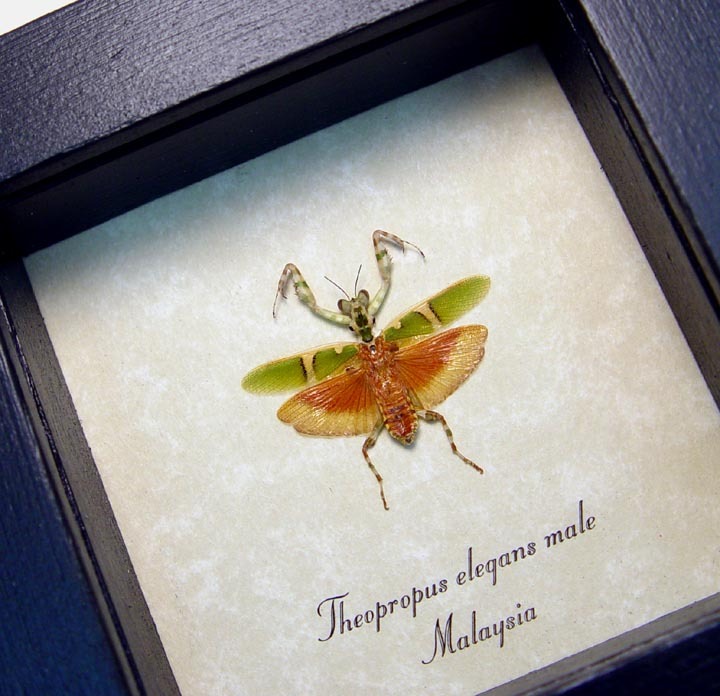 These huge female grasshoppers have a wingspan of 5 1/2″ -7 1/2″+ true giants!